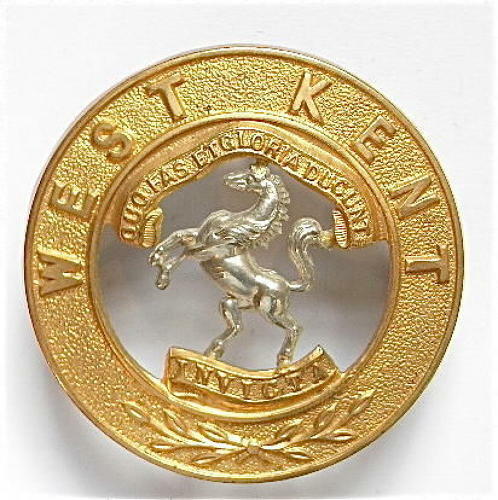 West Kent Regiment post 1881 NCO's Helmet Plate Centre. A good example of the centre plate for the 1881 pattern Home Service Helmet plate. This example with a gilt finish, indicating a senior NCO's issue. Complete with three loops to the reverse. Near VGC.